The internet is awash with lists for 2019 – from “New Year, New You” healthy living plans to the latest interior design trends. 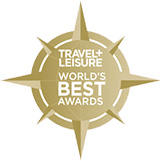 Our favorites, of course, are those that highlight the best travel experiences and most exciting emerging destinations. Recently, our staff narrowed down our own Top 5 Destinations for 2019. Read on to find out more about this year’s picks! A lso listed in the New York Times “52 Places to Go in 2019,” Puglia is the side of Italy that until recently, has fallen below the radar of most travelers (though Italians have long vacationed in this charming region). Located in the heel of Italy’s “boot,” Puglia is known for its unique whitewashed architecture in seaside towns, lack of tourists, and farmland that cascades into coastlines. It’s also a place with its own food traditions, from some of the oldest olive trees in the world to its iconic specialty pasta, orecchiette. Do you love Italy? Have you always wanted to go? Our Discovering Puglia tour is perfect for those new to Italy and those who want to return. Join us to explore this stunning region before it’s inundated with travelers. We savor delicious cuisine and delve into local gastronomy with a cooking class, olive oil tasting, and a cheese tour at a typical masseria—a traditional farmhouse. Our journey also ventures to Matera, the European Capital of Culture for 2019 (and technically in neighboring Basilicata) and to the UNESCO World Heritage Site of Alberobello, where guests spend two nights in a traditional trullo house. The appeal of Scandinavian culture has exploded in recent years—from Iceland’s hotspot in the tourism limelight, to the foodie obsession with “new Nordic” cuisine, to the embrace of coziness thanks to concepts like hygge and koselig. 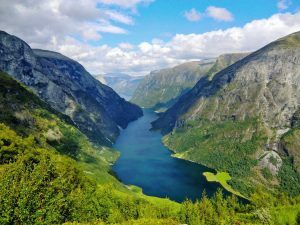 But the crowds haven’t really hit Norway yet, leaving the narrow fjords and vast interior to the few that venture to this northerly nation and the outdoorsy Norwegians who wouldn’t want to be anywhere else. We chose to add a hiking trip in Norway to our collection for 2019 because it fit all of our criteria and more: an adventurer’s playground, awe-inspiring landscapes, charming hamlets, and a variety of activities—kayaking, glacier walking, hiking, and fjord cruising on a RIB boat. Norway is as grand and glorious as the legends and folktales told in the region and we hope you join us to discover it yourself. Patagonia has captured the imaginations of travelers from across the globe for its stark mountains and vast, rugged terrain. The Argentina side is larger, boasts more diverse scenery and better infrastructure, and offers less intense hiking options than the Chilean side, making the landscape accessible to more people. But Argentina is more than just Patagonia—there’s amazing wine to sample in Mendoza; experience one of the world’s new Natural Wonders at Iguazu Falls, and soak up the vibrant urban culture in Buenos Aires. 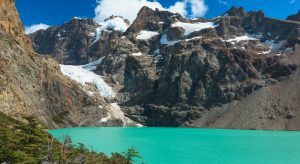 New for 2019, our Argentina: Patagonia Hiking Journey takes us to some of the most scenic areas—turquoise-hued lakes, the shadow of the Mount Fitz Roy massif, and Los Glaciers National Park – a UNESCO World Heritage Site with dozens of glaciers and miles of pristine lengas forest. Bookended with time in Buenos Aires, so you can fully experience the culture, tango, and cuisine this city has to offer, we have also arranged extensions to Iguazu Falls and the Mendoza Wine Region to give you the full breadth of this incredible country. In the early 1990s, news from Rwanda was filled with grim images and reports of genocide. In a remarkable turnaround over the last 25 years, the people of Rwanda have worked to heal and transform their country. Today, Rwanda is not only considered one of the safest countries on the African continent, but also boasts an incredible variety of landscapes, diverse wildlife, and rich culture. Perhaps best known for the endangered mountain gorillas found on the jungle-clad slopes of the Virunga Mountains, safari insiders also call Akagera National Park one of Africa’s prettiest, and serious conservation efforts have resulted in a natural wonderland that is home to all of the “Big Five” — rhino, lion, elephant, leopard, and buffalo — plus many other iconic species. Because of all the above reasons and more, we decided this was the year to offer a Special Departure to this resilient country. 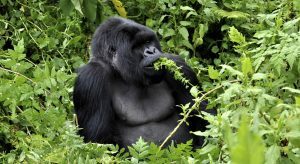 Join us on our Rwanda Gorilla Tracking and Big Five Safari this September to explore the vibrant capital of Kigali, relax in the brand-new lakeside Wilderness Safaris camp in Akagera, and of course, spend time with a family of gorillas in their natural habitat. For years, Portugal has lived in the shadow of its larger and better-known neighbors, especially since it was a dictatorship up until the mid-70s. It has emerged from those darker years and truly flourished in its democracy, opening its doors to travelers. But it’s only been in the last couple of years that the international community has taken notice. 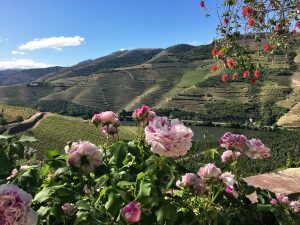 While Portugal made many travel lists last year, we feel that it has really hit its stride this year with improved services, international flight options, and accommodations. At the same time, hordes of tourists aren’t yet something to be worried about, especially once outside of the main cities of Porto and Lisbon. Our Portugal hiking trip spends just a short time in the urban atmosphere before heading out into the countryside and mountains to explore the regions few visitors get to. We combine what we believe to be the best of culture, history, cuisine, and nature. Plus, the Azores Islands (dubbed “Europe’s Hawaii”) are a short and easy extension. 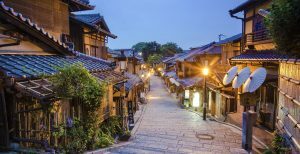 Also on the Condé Nast Traveler list of the “19 Best Places to Go in 2019,” the fascinating juxtaposition of modernity and ancient cultures captivates all who visit Japan. Tourism is just beginning to blossom, especially for those who head into the countryside to explore beyond the bustling cities. Last year was the first year we offered our Japan tour, and we were astounded by its popularity. Our Asia specialist traveled to Japan twice and tweaked the itinerary to improve the experience. Our 2019 Hiking the Nakasendo Trail itinerary really showcases the best of both sides of Japan, where traditional shrines and glass skyscrapers coexist in peaceful contrast. If you’ve enjoyed reading and are inspired to join us or have questions about the adventures featured in this post, please give us a call at 1-800-941-8010 or send us an email at info@boundlessjourneys.com.